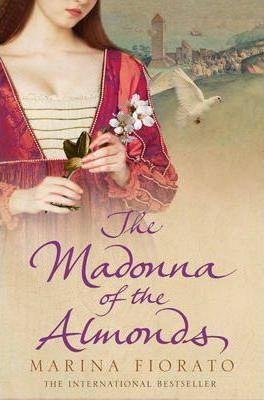 "The Madonna of the Almonds" is an unforgettable story of love and art set against the backdrop of the Italian Wars, by the bestselling author of "The Glassblower of Murano". Bernardino Luini, favourite apprentice of Leonardo da Vinci, is commissioned to paint a religious fresco in the hills of Lombardy. His eye is caught by the beautiful Simonetta di Saronno, a young noblewoman who has lost her husband to battle, and whose fortune now is gone. Captivated by her beauty and sadness, Bernardino paints Simonetta's likeness, immortalizing her as the Madonna in his miraculous frescoes in Saronno's church. As the sittings progress, artist and model fall in love, and Simonetta reciprocates Luini's genius by creating a work of art of her own. She makes a drink for her lover from the juice of almonds - the famous Amaretto di Saronno. As the frescoes and the liqueur near their completion, the couple's affair distils into a heady brew of religious scandal which threatens their love, and ultimately their lives. Who is the mysterious Jew with a golden hand? And how does a mute young soldier affect Simonetta's destiny?Marina Fiorato's brilliant new novel takes us on a wonderful journey with a breathtaking conclusion. Marina Fiorato, geb.in Venedig, studierte Geschichte, Kunst und Literatur in Oxford und Venedig. Sie arbeitete als Illustratorin, Schauspielerin und Filmkritikerin. Mit ihren Bestsellern 'Die Glasbläserin von Murano' und 'Das Geheimnis des Frühlings' begeisterte sie die Leser auch in Deutschland. Sie heiratete ihren Mann, einen englischen Filmregisseur, auf dem Canal Grande und lebt mit ihrer Familie im Norden von London.